Need something fun to get your kids excited (or at least calm the nerves a little) about testing? 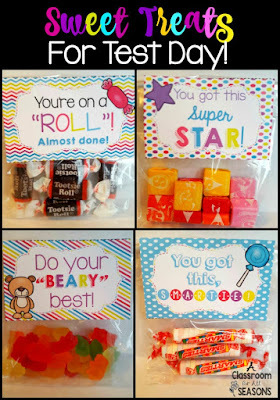 Here is a free download of 4 different cute and colorful labels that you can attach to a bag of candy. Give your students a sweet treat to look forward to after testing is over for the day. Enjoy!